The Vancouver International Marathon Society is a local non-profit inspiring active lifestyles. We annually organize the First Half, BMO Vancouver Marathon, Granville Island Turkey Trot and Fall Classic, plus free weekly runs and other fun initiatives throughout the year. 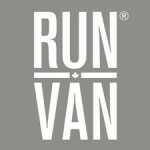 Don’t miss the next RUNVAN® event! This fun local event that now annually sells-out will likely re-open registration after the Marathon.